A frame is not just to hold the glasses but it also tells others of your individuality, your sense of style and how sophisticated you are. 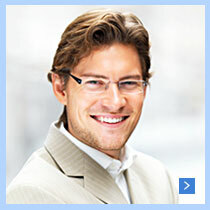 Research has indicated that by just changing the frame you are wearing, you can look younger by 5 years. Why don't you give a try? Just walk-in to a store near you and let our specially trained staff help you in revealing a new you! Want to make an impression? You don't only need a right frame of mind but also the right frame for your glasses, ben franklin will help you lin selecting right frames in their stores. Look gorgeous in our designer eye frames. We have latest fashions in store, from italian designer frames to bollywood adored styles. We have a fantastic range of coloured poly-carbonate frames to go with your party wear. From cute looks to trendy styles, benfranklin will help your kids go to school looking great and feeling confident in their new glasses. 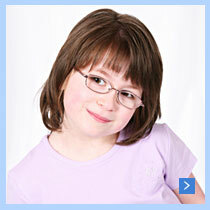 We offer children's eyeglasses in a wide variety of styles and sizes.